You are looking at .5oz, 1oz or 2oz of Vitamin C (20%), E, and Ferulic Acid Serum – at the best value on the net! Yet words can only show so much. Take a look at pictures of people who took a Vitamin CEF serum for only four weeks (Sonti, 2012). With such dramatic benefits, it’s not surprising that other companies sell their Vitamin CEF serums for $100+/2oz. Yet we at Absorb Health remain committed to pricing things affordably, and offer ours at $19/2oz. Additionally, we believe our product to be superior to others because our ingredients are 100% natural and 72% organic. We never include harmful parabens or sulfates that are included in so many other skin products. Other products of ours that you may be interested in include: 100% Pure Hyaluronic Acid, Skin Brightening Serum, Bee Venom Mask, and 2.5% Retinol Serum. All orders ship within a day and come with a money back guarantee. 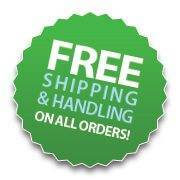 Free U.S. shipping on all orders over $75!